As with l’Apprenti, we’ll conduct this class largely in French. Your teachers are great at expressing themselves so clearly that you’ll understand even brand new vocabulary in context. 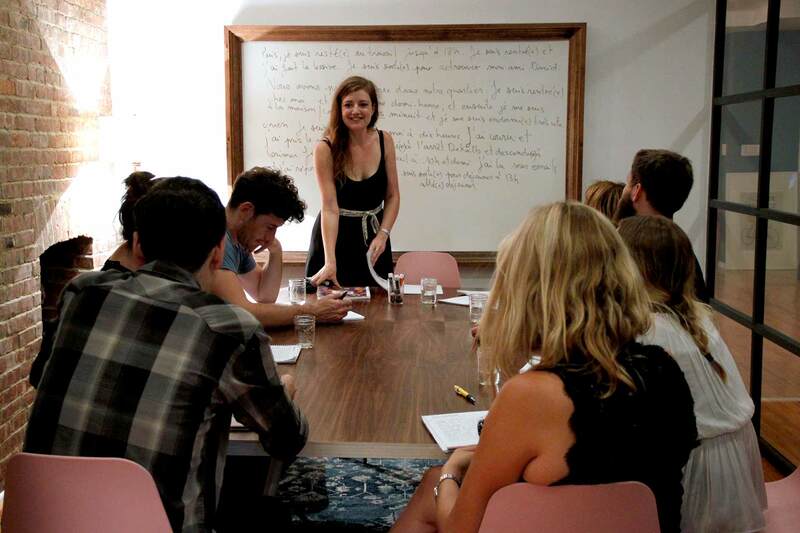 If you’re ready to take your French to the next level, sign up for l’Intermédiaire. You can say "He gave it to me" or "I ate there last night". You can raise Parisian eyebrows with phrases like My daughter was three when we moved or When I met my boyfriend, I had just finished university. You know the different past tenses and object pronouns really well, but you don't know the simple future or the conditional.